There are so many dumb things to do in Lords Mobile. Trying to write them all down would be impossible. I will try to cover the really stupid mistakes. Hopefully, you won’t be reading and blushing. This list will keep growing. If you think you’ve done something stupid-enough to warrant a mention, drop a message in the comments below! I interviewed a bunch of Lords Mobile players to try and find out some of the dumbest things that they did in Lords Mobile (or saw others do). Here are the best ones. These interviews come from players from the guilds that I belong to and from a few random players. Based on my experience, this is one of the most common and dumbest mistakes that I’ve seen players make. Gear is the bread-and-butter of effective gameplay. Not wearing your gear or not switching gears correctly before any given task is really stupid. It is like going snowboarding in your pajamas. Don’t do it. Please! A part of this mistake is those who keep their gear on while they wait for the entire task to complete. You only need the gear to be active when you start a task. Once the task has begun, you can change into other gears. You can even take all your clothes off! I don’t care! To learn more about using gear effectively, click here. I’ve spoken about this mistake so many times throughout the blog. My guess is, at this point, that those who gem troops will probably continue to gem troops after reading this warning. So why waste precious words? Instead, I will tell you about the weather today. Rainy. Yuk! What does “gemming troops” mean? It’s pretty self-understood, but I guess I will have to spell it out… Spending 10,000’s (or 100,000’s) of gems to buy loads and loads of troops. It’s wasteful and silly. 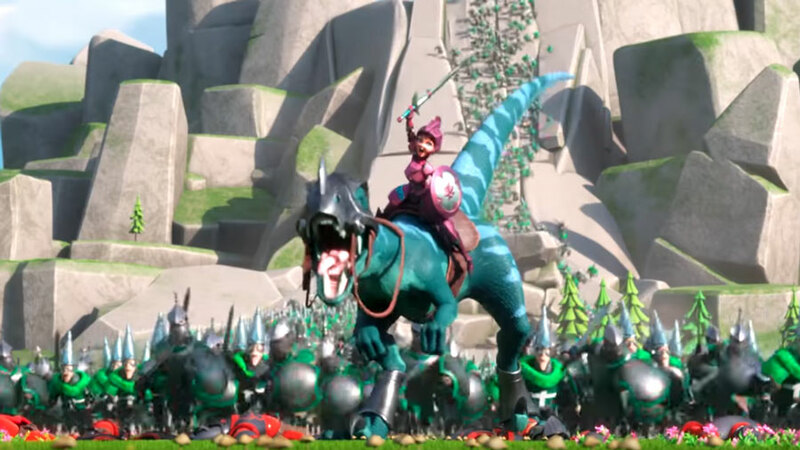 Build your army organically and focus your gems for developing your technologies and buildings… It’s a slower strategy, but you will become a lot stronger in the long run! I also made this mistake back in the day and I learned my lesson the hard way. Instead of hiding my troops, they all got hit as soon as I ran. Always remember this rule. Once an army starts marching on your castle, prepare to be attacked or shelter. If you port away (random or not) you will ALWAYS get hit anyways. Only the attacker can prevent the attack from continuing! There is only one scenario when I do recommend moving away when an enemy is attacking. 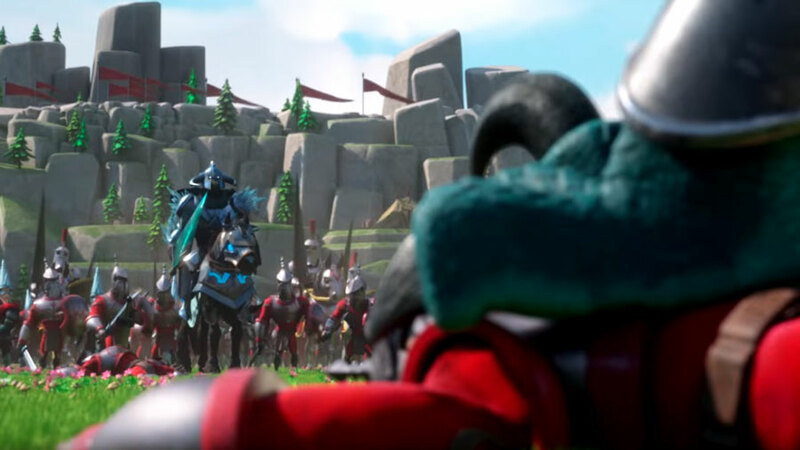 If you are superior in might and you want to force the attacker from attacking (and not let him recall his troops), port away and his army will get crushed on the spot by your superior forces! If he is bluffing, call him out on it! Getting burnt the first time is quite scary and overwhelming. Flashing red followed by everything on fire is quite intense. 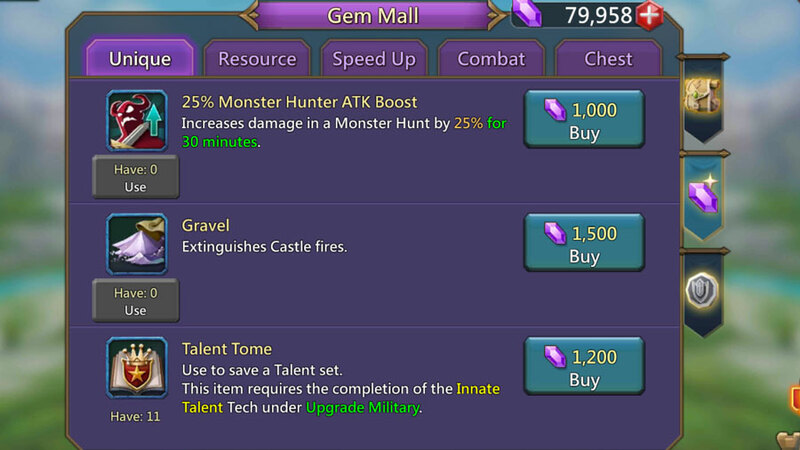 Lords Mobile tries to convince you to buy gravel for 1,500 gems. It’s a scam. You don’t need gravel. The fire will down on its own. Once you’re in the game for a few months a burning castle will be a sign of honor. A burning castle means you fought well. In short, don’t fret if your castle is burning. It’s not your house. It’s not real life! Hosting allies for garrison and reinforcement becomes a part of the game once you start getting more advanced. The problem is that if you have guests in your castle, and you shield while they are still there, they will be forced to march home. Those soldiers walking their walk-of-shame will get killed as soon as the enemy follows them back to their castle. And then you will have a bunch of angry guildmates to apologize too. When the border of your screen starts blinking red and your heart starts pumping as quickly as a kid in front of a Slurpee machine, your logical-brain turns off and the adrenaline sets in. The dumbest things start to happen when an enemy attacks you and you’re not ready. The King of Dumbest Moves is the troop-camping lame-dead-horse maneuver. Also known as, occupying a camp in a nearby (or far away) location. The same thing applies to sending your troops to gather resources. There is literally nothing as dumb. You are going to get trapped and attacked. 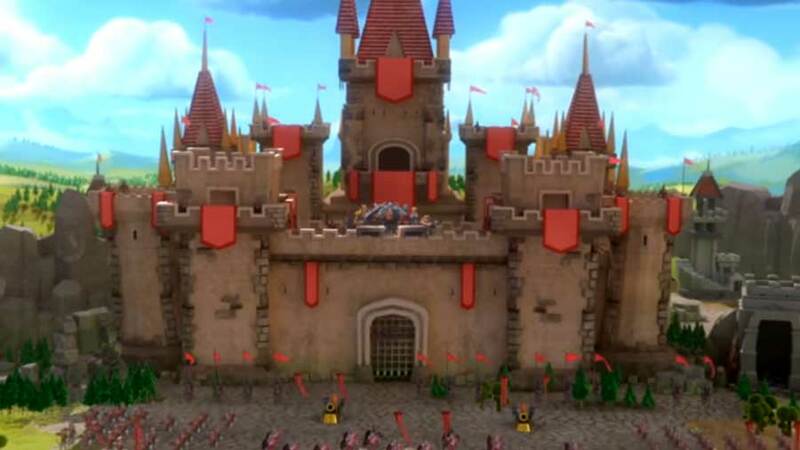 Always remember, your troops have a better chance of hurting your enemy (and/or successfully defending themselves) if they are in your castle. If they are sent to camp, they are basically sitting ducks with their wings chopped off. Don’t be that person who sends troops out to camp. The only time to use this maneuver (only to recourse locations) is if you are trying to stall time until your “Battle Fury” wears off. In that case, do it, but recall your troops before they hit their destination. Know your enemy before you attack. Always scout and plan out correct counterattacks. Just because your might is higher, doesn’t mean that you can take down the castle. It’s hard to always calculate when you are in war-mode but do it anyway if you want to be a successful fighter. Know your strength and balance it against your enemy or you may be as happy as a cat in a kennel. This is as painful as watching someone who came “uninvited to a close-knit reunion” and doesn’t know anyone at the event. Don’t ever train an army… – AHHHHHHHHHHHH!!!!!!!!!!. I’m struggling here. Give me a minute to calm down! Ok. I think I’m better. Don’t ever train an army unless you have enough infirmaries to back them up. At some point, you will want to build loads of infirmaries and only a few manors and barracks. Why? Because if you get attacked your troops will die instead of going to the hospital. They will be dead. Dead soldiers don’t recover. Because they are dead. And dead is dead. I hope that I am being clear here. My heart is pumping too fast to concentrate effectively. Forget about the siege equipment. 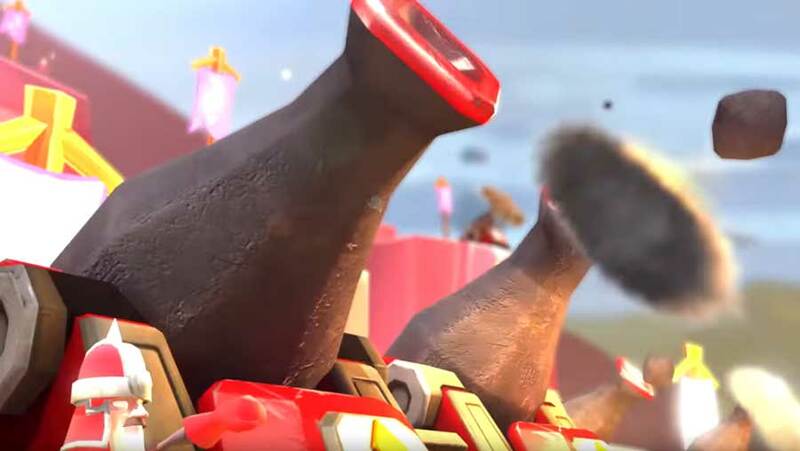 Focus on the other troop types. Infantry is a great choice! You may want a few sieges. In my opinion, don’t get more than 10% of your total troop count. Don’t focus on siege research and siege heroes unless you have other agendas as well! The castle walls and traps are one of the most overrated elements of Lords Mobile. In fact, I think they should make an update to the wall research in the academy to improve the wall! Castle walls are useless. Castle traps are also pretty useless. Build up a moderate wall and then don’t bother continuing the researches. Move over to T4 troops or Monster Hunting researches. The wall is a waste of time. The treasure trove is one of your most powerful “cheats” in Lords Mobile. You can only cash out once a month, but the dividends are fantastic! 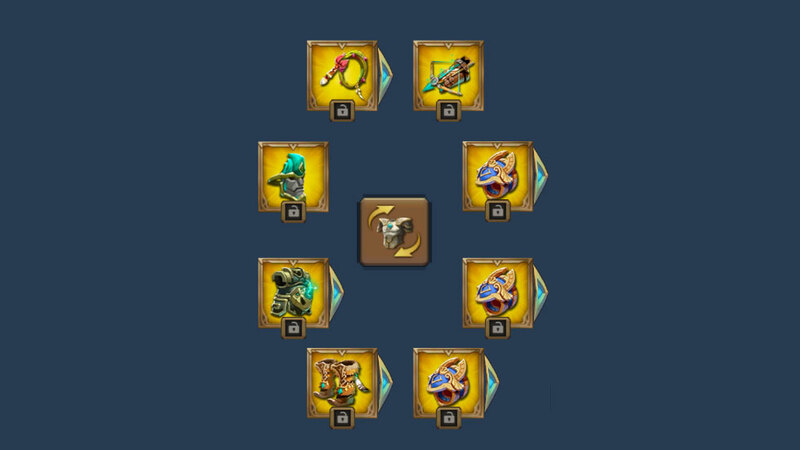 I strongly recommend maxing the Treasure Trove straight to level 9 as soon as possible. 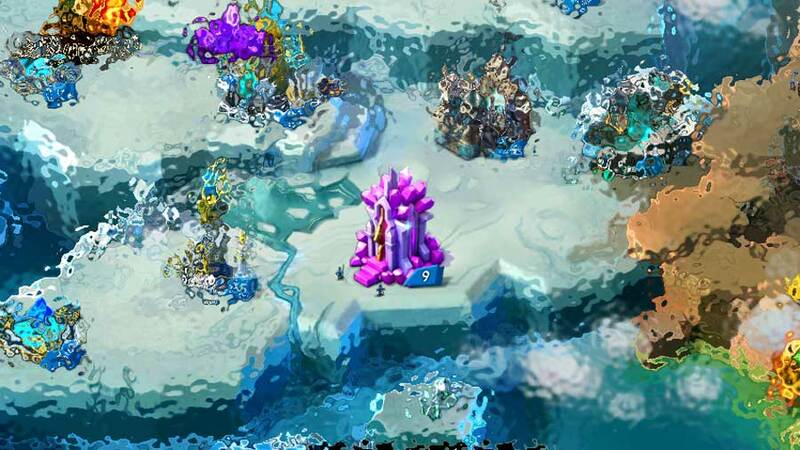 There are also technology researches that will help maximize the power of the Treasure Trove. Use them. The Treasure Trove is a great investment. Mind the pun!